We have already seen our first potential look at what to expect from the Pixel XL 2. Now, According to the latest report from Evan Blass, we now have the exact launch date of the Pixel 2. The Pixel 2 and Pixel XL 2 will debut on October 5th with Snapdragon 836 SoC. Snapdragon 836 is going to be relatively similar to the Snapdragon 835 in terms of hardware but will feature higher peak GPU and CPU clock speeds. Both the 2017 Pixel phones will be having a better camera, and that's something really interesting. 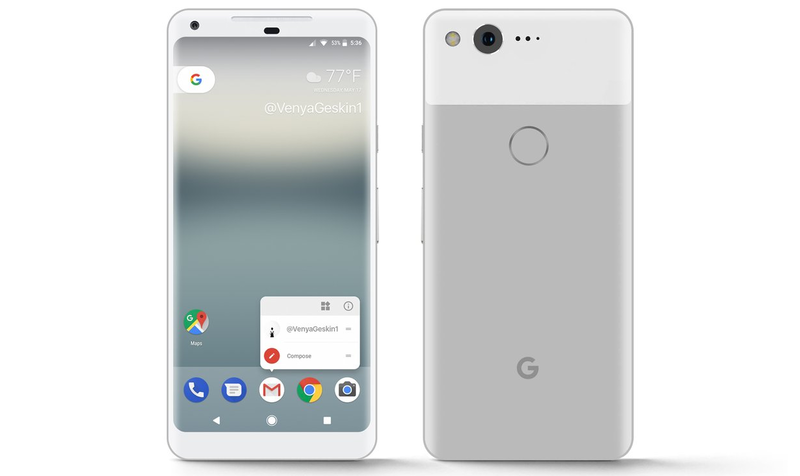 The Pixel 2 will look a lot different from the Pixel XL 2 in terms of front design. The Pixel XL 2 will be having a 2:1 Full vision display while the Standard Pixel 2 will feature huge chin to the top and the bottom, just like the 2016 Pixel phones. And Yes, Google is ditching the 3.5mm headphone jack! Thoughts?